Xiaomi has been the partner of choice for the massively popular Chinese online multiplayer game, King of Glory, for its augmented reality razzmatazz. The MOBA (multiplayer online battle arena) game, published by Tencent, had already raked up 200 million monthly active users way back in 2017. 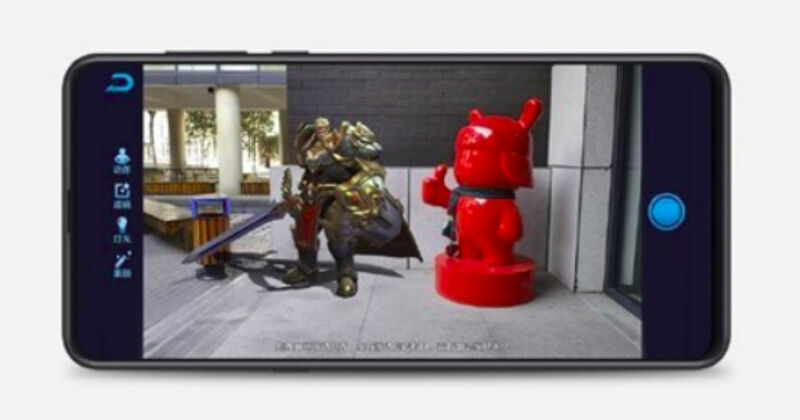 Now, to cash in on the popularity of the game and focus on its characters, King of Glory has added an augmented reality camera developed in collaboration with Xiaomi. Through this app, as the name would suggest, fans (and anyone that’s interested, really) can take photographs with augmented characters through the app. At the moment, the King of Glory AR camera works only with five Xiaomi smartphones — Mi 8, Mi 8 Pro, Mi 8 Explorer’s Edition, Mi MIX 3 and Mi MIX 2s. The app is, for now, pretty much limited to flagships only, possibly owing to the heavy configuration requirement of the app’s AR functioning. Strangely, however, only those users that are on a beta version of MIUI will have access to downloading the app. A report by GizmoChina states that through the AR camera, users can select any in-game character of their choice, adjust skin tone, add filters and beauty effects, and even tweak lighting settings of the frame before placing it anywhere in the frame. There has, however, been no word regarding when (or if at all) might the app be made available to other Xiaomi devices or enjoy a wider rollout to all devices. In fact, it is as yet unclear when users of the said Xiaomi phones presently sporting stable MIUI builds would get access to the app. Using AR-based stickers and characters have been an interesting way of attracting users to an app or a game. Pokemon Go was arguably the first truly popular application to have implemented this, when it launched globally to a ludicrous wave of fanfare. Tencent, interestingly, is also the publisher of PlayerUnknown’s Battlegrounds, more commonly referred to as PUBG. With it being one of the world’s most popular game of all time, it will be interesting to see if Tencent finds a workaround to implement AR-based imagery within the battle royale.